We do our best to respond to all emails within 48 hours. If any additional information is needed to answer your question, we will contact you via email. Please include your country code with a '+' sign. Eg: +1..
Bally accepts Visa, Visa Debit, AMEX, AMEX Debit, MasterCard, MasterCard Debit, Discover and Paypal. Please note that additional payment authentication may be required by your card issuer such as Verified by Visa, MasterCard Secure Code and AMEX SafeKey. Your card or other method of payment will not be charged until your order is shipped. However, your bank balance may reflect deduction of funds immediately upon order. + – Why is my order not being accepted? Please be sure that the address entered in the "Billing" field is the address that is registered with your bank. If the order is still not being accepted please contact your bank, followed by our Client Services team who will be happy to assist you. 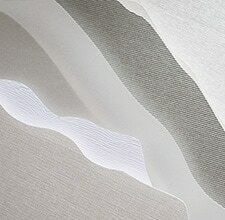 Contact details; By email: clientservicesUS@bally.ch By phone: +1.844.442.2559. Upon confirmation of your order, it will take from 3 to 7 working days to receive your order, depending on the delivery option selected. Please note that the delivery option does not include the order processing time which can take up to 48h. Deliveries will be made between 7am and 7pm Monday to Friday and require a signature. If you have further questions about this please contact client services and we can advise you on the progress of your order. 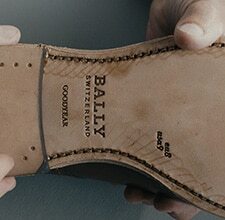 Bally offers free Standard Delivery on all orders except for orders that contains shoe care products only. If you order shoe care products only for order below $150 the standard Shipping is $5.99. Please use the Region Selector to check or change your delivery country before adding items to your shopping bag. We also have stores worldwide if you prefer to shop in store. Click here to find your nearest boutique. + – Does Bally ship to Canada? 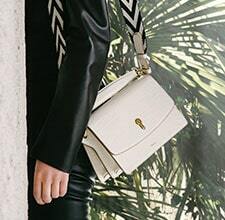 Bally currently offers shipping to Canada through bally.com. To shop the site from Canada, simply add the pieces from the collection to your bag, which will display the taxes and duties that will be calculated at checkout. Once you have placed your order, you can expect your order within 3 to 7 working days. Please note that your bally.com order will be charged in USD. You can now shop online at Bally.com and collect your order in selected stores. You will be notified via email as soon as your order is available for in store collection. + – How do I return an item via client services? You can either 1) Go to your Account and enter your order details under “Check Order” Select the item you wish to return and select a return reason Please read and tick to accept our terms and conditions Carefully pack your returns including your return notes Attach your prepaid return label on top of the carton Drop your return to any UPS drop off locations Or 2)Contact Bally Client Services via phone or return your order to a store. You may also submit your return request via email using the Model withdrawal form. Please note we can only accept store returns within the same country of delivery. You have fourteen (14) days from delivery of your order to submit your returns request. Bally Client Services will provide you with a pre-paid return label. + – HOW DO I RETURN AN ITEM ONLINE? Should you find that your items have any manufacturing defects or quality problems, you should immediately Email Bally Client Services at clientservicesUS@bally.ch or call us on +1.844.442.2559, Monday to Friday between 7:30am and 8pm or Saturday and Sunday between 10am and 6pm EST. Yes, orders placed online can be returned to a store of your choice (excluding outlet and airport stores). Please note we can only accept store returns within the same country of delivery. From the day of receipt, you will have fourteen (14) days to submit a returns request. All returned merchandise must be in a new and unused condition with all tags and labels still attached. Bally will issue a credit for the amount originally paid. Bally can only issue a refund to the original form of payment. We will send you an return confirmation email once your refund has been issued. For more details see our Returns Policy. Our aim is to give as much information as possible on the product pages of our items. Should you require any further information, please contact clientservicesUS@bally.ch or call us at +1.844.44.BALLY, weekdays from 7:30 AM - 8:00 PM EST and weekends from 10:00 AM - 6:00 PM EST. Should you wish to discuss a repair for your Bally product, please contact clientservicesUS@bally.ch or call us at +1.844.44.BALLY, weekdays from 7:30 AM - 8:00 PM EST and weekends from 10:00 AM - 5:00 PM EST. 1.1 As a consumer, you may cancel your contract governing Products purchased on the Website, without any penalty, by either 1) contacting Client Services by phone at +1.844.44.BALLY (+1.844.442.2559) or by email at ClientServicesUS@bally.ch; 2) you can submit your return request via email by using this Model withdrawal form; or 3) submitting a request through the online portal under your account. You have fourteen (14) days from delivery of the Products to submit your return request. 1.2 Bally provides a carrier service for all returns within the United States and Canada. Only return shipments using our approved courier will be free of charge and at Bally's cost and liability. 1.4 You must return the Products within seven (7) business days from the date you receive the return authorization number from Bally. 1.5 You must return the Products with secure packaging. You must return the Product(s) in the same condition in which you received them and they must be returned in their original packaging; moreover, the Products must not have been washed or damaged and the relevant identification tag must still be attached to the Products with the disposable seal. Please note that Bally will review the returned Products via quality control. If the Products are sent back in perfect condition, new and with all tags and labels attached, Bally will approve the return and reimburse the price originally paid. If the recipient of the Product(s) indicated in the order form is different from the individual who made the payment for such Product(s), the amount paid for returned items shall be refunded to the individual who made the payment. 1.6 If any of the labeling or tags are missing, do not comply with this Right of Withdrawal/Returns Policy or Bally has any reason to believe that the Products have been altered or are an imitation of the Products or were not purchased directly through this Website, Bally will not accept the return and will return the Products back to you. 1.8 You may also return the Products to stores owned or directly operated by Bally within the United States. We are unable to accept returns for purchases bought in franchising shops, outlets, retail stores, department stores, duty free shops or on any other website. Welcome to our website located at www.bally.com (the "Website"). These General Terms and Conditions of Use (these "Terms") govern access to and use of the Website. Please read these Terms carefully. By accessing or using the Website or by purchasing any product on the Website, you agree to be bound by these Terms. If you do not agree to all or part of these Terms, you are not permitted to use our Website. This website is managed and maintained by Bally Americas Inc. ("Bally"), with an office at 750 Lexington Avenue, 21st Floor, New York, New York 10022. The access to and use of the Website, including without limitation display of web pages, communication with Bally, downloading product information and making purchases on the Website, may be carried out by users of the Website exclusively for personal purposes, which should in no way be connected to any trade, business or professional activity. You will be liable for your use of the Website and its contents. Bally shall not be considered liable for any use of the Website or any of its contents made by its users that is not compliant with any laws and regulations, subject to Bally's liability for intentional torts and gross negligence. All content included on this Website, such as works, images, pictures, dialogues, music, sounds, videos, documents, drawings, figures, logos, menus, web pages, graphics, colors, schemes, tools, fonts, designs, diagrams, layouts, methods, processes, functions and software (collectively, "Content"), is the property of Bally and is protected by national and international copyright and other intellectual property laws. You may not reproduce, publish, distribute, display, modify, create derivative works from, or exploit in any way, in whole or in part, the Content without the prior express written consent of Bally. Bally shall have the exclusive right to authorize or prohibit in its sole discretion any reproduction, publication, distribution, display, modification, creation of derivative works from, or exploitation in any way, in whole or in part, of the Content. Bally shall have the right, at any time, to claim ownership of any Content posted on the Website and to object to any use, distortion or other modification of such Content. Any reproduction, publication, distribution, display, modification, creation of derivative works from, or exploitation in any way of the Content expressly authorized in writing by Bally shall be carried out by you for lawful purposes only and in compliance with all applicable laws. Please contact Bally at ecommerce@bally.ch if you are interested in linking the home page of the Website to other web pages which can be publicly accessible or if you wish to join our Affiliate Program. Bally has adopted measures to address accuracy of the content on the Website. However, Bally is not liable for the accuracy and completeness of the content, except for its liability for gross negligence and as otherwise provided for by the law. Moreover, Bally cannot guarantee that the Website will operate continuously or without any interruption or error. These General Terms and Conditions of Use are governed by the laws of the United States and the State of New York. Please read these Ts&Cs carefully before ordering any Products on the Website. By ordering any of our Products on the Website, you agree to be bound by these Ts&Cs. The Products purchased on the Website are sold by Bally Americas Inc., with an office at 750 Lexington Avenue, 21st Floor, New York, New York 10022 ("	Bally," "our," "we" or "us"). 1.1 Bally offers its Products on the Website, including its e-commerce business services, exclusively to consumers (i.e., any natural person who will be the consumer of the Products and who is acting for purposes which are outside his/her trade, business or profession). If you are not a consumer, please do not buy any Product(s) on the Website. We reserve the right not to process orders received from users who are not consumers and any other order which does not comply with our business policy. 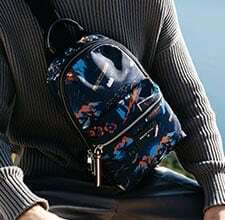 1.2 Bally offers its Products only to consumers over the age of 18. If you are under 18, you are strictly prohibited from ordering Products from the Website. 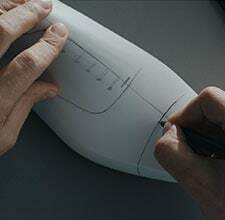 Bally reserves the right to cancel any orders from consumers we believe to be under the age of 18. 1.3 We do not sell secondhand Products or Products of lower quality than the corresponding market standards. The main characteristics of Products are shown on each Product page of the Website. The appearance of Products offered for sale on the Website may not exactly correspond to actual Products in terms of image, dimensions and colors depending on your Internet browser or monitor quality. 1.4 Products ordered on this Website may be shipped only to physical addresses located in the United States excluding P.O. boxes, APO/FPO addresses. 1.5 These Ts&Cs (together with the documents referred to herein) regulate the offer, transmission and acceptance of purchase orders relating to Products on the Website between the users of the Website and Bally. 2.1 To place an order, you should select the Products you desire to purchase on the Website, select a size, and add the items to your shopping bag by clicking on "Add to Shopping Bag." Once you are ready to checkout, click on the shopping bag icon at the top right of the screen, which will display all of the Products you have selected to purchase. It is your responsibility to check the items in your shopping bag are the correct style, color and size before proceeding. Once you are ready to proceed with your order, click on "Secure Checkout," where you will be able to add gifting options and will be asked to select your preferred payment method and delivery option, as well as enter personally identifiable information. After having read and accepted these Ts&Cs, click on the acceptance button. You will be requested to log into your personal account (if you are already registered) or continue through guest checkout. 2.2 All orders are subject to acceptance and availability. Please be aware that Products in your Shopping Bag are not reserved and can therefore be purchased by other users until you complete the checkout process. 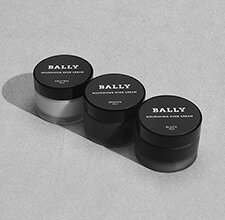 2.3 Your order is an offer to Bally to buy the Product(s) contained within your order and is binding for a period of fifteen (15) days. An order shall be deemed to have been submitted to Bally when you receive an order receipt email (automatically generated) confirming the content of your order, which has been received and is being assessed by Bally. 2.5 Your offer shall be deemed accepted and the relevant contract of sale is effective from the moment Bally dispatches the Product and you receive a confirmation email containing information about the acceptance of your offer, the dispatch time, the essential characteristics of the purchased Products, a detailed breakdown of the price paid for each Product and delivery costs and details ("Order Status Update"). 2.6 If your order is dispatched in more than one package, you may receive a separate email for each package and by means of each separate email you and Bally complete a separate contract of sale for the Product(s) specified in the respective email. 2.7 You may access your order form by clicking on the section of the website under "My Account" that is labeled "Track My Order." 2.8 Bally reserves the right not to accept your order in its sole discretion. In such case, Bally will inform you by email of the cancellation of the order. 2.10 We strongly encourage you to print a copy of these Ts&Cs and the order form using the print option and save a copy thereof for your own personal use. 3.1 All prices indicated on each Product page are exclusive of applicable taxes. Prices are subject to change. However, such changes will not impact the price or the description of the Products for which you have already submitted an order. 3.2 Although we have taken reasonable care to reflect accurate prices on the Website at the time of publication, a small number of Products on our Website may be mispriced. Prices are confirmed when you receive your order receipt email outlining the charges (including delivery), which may be different than the price reflected on our Website. 3.3 You may pay for your order using the payment methods available on the Website, such as credit or debit cards and PayPal. 3.4 We take reasonable care to make our Website secure. All credit and debit card transactions on our Website are processed using Cybersource, a secure online payment gateway that encrypts your card details in a secure host environment. We will securely store your credit and debit card details on the Demandware platform. These details will be fully encrypted and used only to process card transactions which you have initiated, to issue a refund in case of return or unavailability of the Products or for reporting cases of fraud to governmental authorities. 3.5 Should your payment fail to process the order online, please ensure that all your details submitted are correct and retry the transaction. Should the problem persist, please contact your card issuer directly, as Bally will be unable to assist you with these types of payment failures. 3.7 To ensure that your credit or debit card is not being used without your consent, Bally will validate your name, address and certain other personally identifiable information supplied by you in placing the order through services offered by Cybersource. 3.9 Refunds, for whatever reason, of any payment received by you will take place using the same method of payment you chose during the check-out procedure and cannot be amended after your order has been placed. 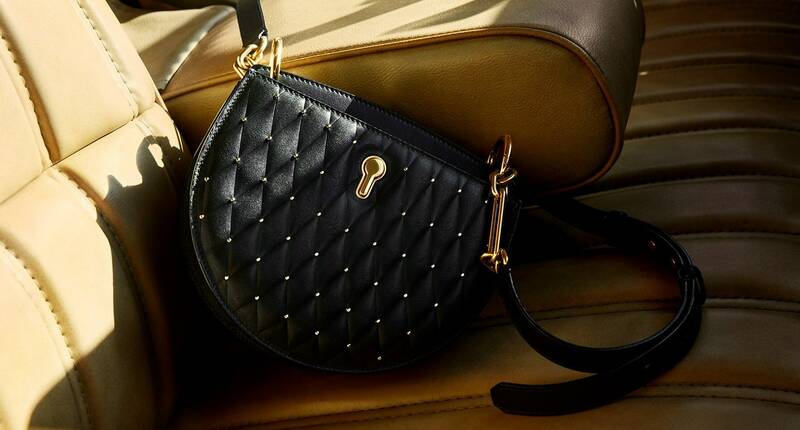 Bally will not be responsible for any delays beyond its control, including without limitation delays caused by the method of payment/refund or those attributable to the card issuer. 4.2 Delivery from this Website is restricted to physical addresses in the United States. In addition, Bally cannot be held responsible for unanticipated delivery delays beyond Bally’s control. 4.3 Bally is unable to deliver to P.O. boxes, APO/FPO addresses. Any orders specifying a P.O. box, APO/FPO will be automatically cancelled. 4.5 Currently, Bally carriers are able to deliver only Monday to Friday (excluding national holidays), during local business hours. 4.6 We will make reasonable efforts to deliver the Products by the estimated delivery date indicated in your order form and during your checkout. However, such delivery date is not binding and Bally will not be liable for any delay in delivery. 4.8 Upon delivery, it is the customer's responsibility to ensure that a package customer is signing for is without damage, visible alteration or wet. Any such defects should be reported when you sign for the delivery. 4.9 Upon full and correct payment, delivery, and signature for a package, the associated Products will become your property and you will become fully responsible for the Products. 5.1 As a customer, you may cancel your order for Products purchased on the Website, without any penalty, by either contacting Client Services by phone at +1.844.44.BALLY (1.844.442.2559) or by email at ClientServicesUS@bally.ch. You can submit your return request via email by using the Model withdrawal form. You have twenty-eight (28) days from delivery of the Products to submit your returns request except for sale products for which you need to submit your request within fourteen (14) days. 5.2 More details of your right of withdrawal, terms and conditions applicable thereto and explanations of how to exercise it are provided in the Confirmation and in the Returns Policy. 6.1 Bally warrants to the consumer that the Products that we deliver from this Website comply with the specifications for Products set forth on the Website and are free of material defects and workmanship errors (the "Warranty") for a period of twelve (12) months from the date of delivery. 6.2 Details regarding how to exercise rights under the Warranty and to return Products that do not conform to the Warranty are provided in the Warranty Policy. 7.1 Client Services will be able to assist customers with requests for information, assistance on orders, shipping, refunds and to return Products purchased on the Website. 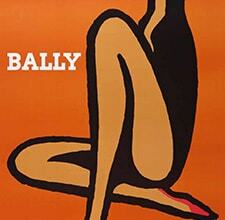 Client Services can be contacted by phone at +1.844.44.BALLY (1.844.442.2559) or via email at ClientServicesUS@bally.ch. Client Services operating times are: Monday to Friday, 7:30 AM to 8:00 PM EST and Saturday to Sunday, 10:00 AM to 5:00 PM EST. 8.1 The appearance of Products displayed on the Website may not exactly correspond to actual Products in terms of image, dimensions and color depending on your Internet browser and/or your monitor quality. 8.2 Except for cases of gross negligence and fraud, in no event will Bally and/or any of its affiliates be liable to any buyer for lost profit, any consequential, incidental, indirect, punitive or special damages arising out of or related to these Ts&Cs and/or any damages in connection with any third party claim raised against the buyer of the Product. 8.3 No representation or warranty, expressed or implied, is made as to accuracy or completeness, merchantability or fitness for any purpose by us or any of our affiliates. 8.4 The total amount of Bally's liability in respect of the purchase of Products under these Ts&Cs is limited to the amount paid by the buyer for the purchase of the Product giving rise to the liability. 10.1 Bally may subcontract the performance of all or any of its obligations under these Ts&Cs at any time without the consent of any buyer and may transfer these Ts&Cs (including without limitation a transfer resulting from a merger, divestiture, acquisition, change of control, corporate reorganization, or sale or lease of all or substantially all of our relevant assets or business) and/or the purchase contract entered into by and between Bally and the buyer, completely or partially, to any third party (including without limitation any affiliate of Bally), without the consent of any buyer. 10.2 The Customer must not assign or subcontract any right or obligation under these Ts&Cs without the prior written consent of Bally. 11.1 In the event of strikes, difficulties or other events due to causes beyond the reasonable control of Bally which would influence the delivery of the Products, Bally shall be authorized to postpone deliveries or to cancel them. 13.1 These Ts&Cs supersede and replace all prior terms and conditions of sale associated with purchases made on the Website. 13.2 These Ts&Cs and all the other policies of the Website may be amended from time to time due to any new laws or regulations or other reasons. The new Ts&Cs and policies shall be effective as of the date of publication on the Website in relation to new orders placed after their publication. 14.1 If any provision of these Ts&Cs shall be found by any court or administrative body of competent jurisdiction to be invalid or unenforceable, such invalidity or unenforceability shall not affect the other provisions of these Ts&Cs which shall remain in full force and effect. 15.1 These Ts&Cs and the other policies of the Website shall be governed by and interpreted in accordance with the laws of the United States and the State of New York. Disputes arising in connection with these terms shall be subject to the non-exclusive jurisdiction of the federal and state courts located in the State of New York. These General Terms and Conditions of Sale are subject to updates and amendments from time to time. The version published on the Website is the version currently in force. The purchase of the Products is subject to the General Terms and Conditions of Sale which are placed on the Website on the date of your submission of the order form. 1.2 The operator of the Website is Bally Americas, Inc. ("Bally", "our", "we", or "	us"), which is located at 750 Lexington Avenue, 21st Floor, New York, New York 10022. 1.3 As indicated in the General Terms and Conditions of Sale, Bally manages the Website's online store, which involves managing activities such as processing orders, delivering products, and processing returns as well as other activities necessary to facilitate the sale of products via the Website. To perform these activities, Bally may process users' information (including name, address, and credit card information). 1.6 This information may be integrated with further personal information collected also in our stores. 1.7 The data controller of the Website is Bally Shoe Factories Ltd.Bally Schuhfabriken AG, with registered office in Via Industria 1, 6987 - Caslano (Switzerland) ("Bally", "we", or "us"). Bally is part of a group portfolio companies (the “Group”) whose holding company is JAB Luxury GmbH, a Swiss company whose registered office is in Via Industria 1, 6987 - Caslano (Switzerland) (“JAB”). 1.8 Your data may be also communicated to JAB which will process it as independent data controller. 2.1 A user can browse the Website without telling us who he/she is or revealing any personal information about himself/herself. If a user chooses to provide us with personal information (e.g., in connection with the use of the services and features offered through the Website), however, then he/she is no longer anonymous to us. (b) Information provided voluntarily by users: users may provide personal information to us voluntarily, such as when contacting us (e.g., via email), interacting with the Website's features, making requests for services offered through the Website, completing forms to access protected sections of the Website, and purchasing products through the online store. The personal information voluntarily provided by users may include, but is not limited to, name, gender, email address, phone number, address, financial information (such as credit card and/or bank account numbers), as well as shipping, billing, and other information that users provide to purchase products through the Website and any other personal information that we may ask users to provide to use our services. 3.1 The Website uses certain tools, such as cookies, to automatically collect Data. A cookie is a small text file that is used to store information on a user's Internet browser or a user's computer's hard drive when the user visits a website, such as the Website. A cookie does not contain information that identifies a person, but it allows for the linking of a user's computer to the information provided by the user on the Website (such as, for example, linking a user's IP address and other information about the user's experience on the Website to his/her preferences expressed while choosing services and purchasing products offered through the Website). Cookies are disseminated by servers and no one may gain access to information contained therein. The information stored in cookies is gathered directly and automatically by the Website and is processed in an aggregate and anonymous manner. 4.1 Users may be required to provide certain Data to us to create an account on the Website and to access the services and features offered through the Website, including the online store and the relevant e-commerce services. Failure to provide Data to us may prevent a user from accessing and using the services and features offered through the Website. 4.2 The provision of Data to us for marketing purposes is always voluntary and optional. In the event a user elects to not provide Data to us for marketing purposes, that choice will have no effect on the user's ability to use the services and features offered through the Website. (g) to contact users for other purposes authorized by law. 5.2 Furthermore, with a user's freely given consent, Bally may also use Data to create individual or group profiles (user profiling) and for marketing purposes, notably to send to users-via newsletters, emails, or text messages-information and updates on Bally products or initiatives, offers, exclusive sales, promotional campaigns, and events and shows organized by Bally or in which Bally takes part, including invitations to those events and shows. Users always have the opportunity to object to the processing of their Data for marketing purposes and/or the delivery of promotional information through email. 5.3 We do not sell users' Data to third parties for their marketing purposes without users' explicit consent. We may combine users' Data with information we collect from other sources and use it to improve and personalize our advertising and marketing to users. 6.1 Data collected will be stored and processed via an electronic system owned and managed by LLX Global Business Services Ltd (“GBS”) with registered office at Via Industria 1, 6987 Caslano – Switzerland, a service company belonging to the Group and stored in the server located at GBS. 6.2 We protect users' Data by using technical and administrative security measures to reduce the risk of loss, misuse, and unauthorized access, disclosure, and alteration. Some of the safeguards we use are firewalls and data encryption, physical access controls to our data centers, and information access controls. 7.1 Data will be accessible by Bally personnel, including employees and external contractors. 7.3 The aforementioned third parties that may receive users' Data will process that Data for the same purposes as specified above and in accordance with applicable law. Bally will retain a list of the third parties with which Data is shared, which will be available upon request. 9.1 Users are entitled to obtain, at any time, a copy of their personal information and to have any inaccuracies corrected. Where appropriate, users may have their personal information deleted, corrected, amended, or completed. To do so, please write to us at Bally Americas, Inc., 750 Lexington Avenue, 21st Floor, New York, New York 10022 or send an email to privacy@bally.ch. 9.2 Users may revoke, at any time, consent to the delivery of commercial and promotional material via email by clicking the "unsubscribe" link in every commercial communication sent by Bally and/or other companies of the Bally Group. 10.1 The Website is not directed to, nor do we knowingly collect information from, children under the age of 13. If you become aware that your child or any child under your care has provided us with information without your consent, please contact us at Bally Americas, Inc., 750 Lexington Avenue, 21st Floor, New York, New York 10022 or send an email to privacy@bally.ch. The website www.bally.com (the "Website") uses certain tools, such as cookies, to automatically collect data. A cookie is a small text file that is used to store information on your Internet browser or your computer's hard drive when you visit a website, such as the Website. This policy is designed to help you understand more about these tools and our use of them on the Website. Cookies are widely used in order to make the Website work, or work more efficiently, as well as to allow us to collect information. Cookies can be disabled or removed by tools that are available in most commercial Internet browsers. The preferences for each Internet browser you use will need to be set separately and different browsers offer different functionality and options. Technical or browsing cookies : These cookies enable the Website to function properly and allow you to view the Website in your language and for your market at the time you initially access the Website. These cookies will recognize your country so that on any subsequent visits, you are directed straight to the Website. They also allow you to create an account, log in, and manage your orders. If you are a registered user, these cookies enable the Website to recognize you as such when you access the services offered to our registered users. These cookies will recognize if you make a purchase from the Website through an affiliated or partner website so that we can fulfill any obligations we may have to those affiliated or partner websites. These cookies are necessary for the Website to function. Functional cookies : These cookies enable the Website to recognize you every time you access the Website, following an explicit request from you for the Website to do so (for example, if you click on "remember me"), so that you don't have to type in your login details each time. Analytical cookies : These cookies are used, for example, by Google Analytics in order to carry out statistical analyses of how users use the Website through their computers or via our mobile applications, such as how many pages a user has visited or the number of mouse clicks made on a page while using the Website. Bally processes the results of these analyses in an anonymous way and for statistical purposes only, provided that the service provider uses the cookies in connection with the browser installed on your computer or other device used to browse our Website. Third-party cookies for marketing/retargeting : These cookies are used by third-party companies that we trust to show you advertisements on other websites affiliated with us featuring products you viewed when browsing the Website. While you are browsing the Website these cookies are also used to show you advertisements featuring products that may be of interest to you. The usage of these cookies may create a connection with your computer or other device by tracking the information stored in it when you visit the Website and other websites affiliated with our third-party service providers: these cookies are then connected to the browser installed on your computer or other device used during the navigation on our Website. Most web browsers (e.g., Internet Explorer, Firefox, etc.) are configured to automatically accept cookies. However, most web browsers allow users to disable cookies by adjusting their browser settings. We wish to make you aware, however, that disabling technical/browsing cookies or functional cookies may prevent our Website from functioning correctly and/or may not allow you to fully and effectively take advantage of the services we offer. To find out more about cookies, including how to manage and disable third-party marketing/retargeting cookies, visit	www.youradchoices.com. 1.1 Bally warrants to the consumer that the Products comply with the specifications for Products set forth on the Website and are free of material defects and workmanship errors (the "Warranty") for a period of twelve(12) months from the date of delivery. 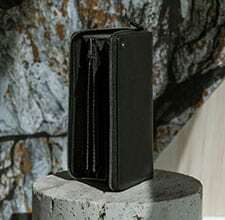 1.3 In the event of alleged lack of conformity of a Product to the Warranty, in order to benefit from his/her rights under this Warranty Policy the consumer must notify Client Services by phone at +1.844.44.BALLY (+1.844.442.2559) or by email at	ClientServicesUS@bally.ch within a period of two months from the date on which he/she detected such lack of conformity. In any event, the proceedings intended to enforce the lack of conformity not fraudulently hidden by Bally shall expire after twenty-six (26) months from delivery of the Product(s). 1.4 The Product(s) must be returned to Bally within fifteen (15) business days following notification to Bally of the damaged or defective Products. 1.5 Bally will examine all Products returned as damaged or defective and, in the event of a lack of conformity to the Warranty, will replace the Product or, if this is not commercially reasonable, refund the price paid. 1.6 Bally will refund the price and your costs of returning defective Products using the same method originally used by you to pay for the purchase. If the recipient of the Products indicated in the order form is different from the individual who made the payment for such Products, the amount paid for returned items shall be refunded by Bally to the individual who made the payment. 1.7 In the event that Bally finds no fault with the returned Products, you will be notified that the returned Products cannot be accepted and you may elect to have the Products re-delivered to you. If you do not accept re-delivery, Bally reserves the right to retain the Products and the purchase price. 1.8 This warranty does not apply (i) if the Product has been subject to faulty or improper use, repair, alteration and/or modification in any way that is not covered in the documentation for the Product; (ii) to damages caused by failure to follow the instructions covered in the documentation for the Products or other specific instructions from Bally; (iii) if the Product is damaged by misuse, abuse, negligence, accident, normal wear and tear or deterioration, improper environmental conditions or lack of responsible care, (iv) to damages due to any other cause not related to defective design, workmanship and/or materials.